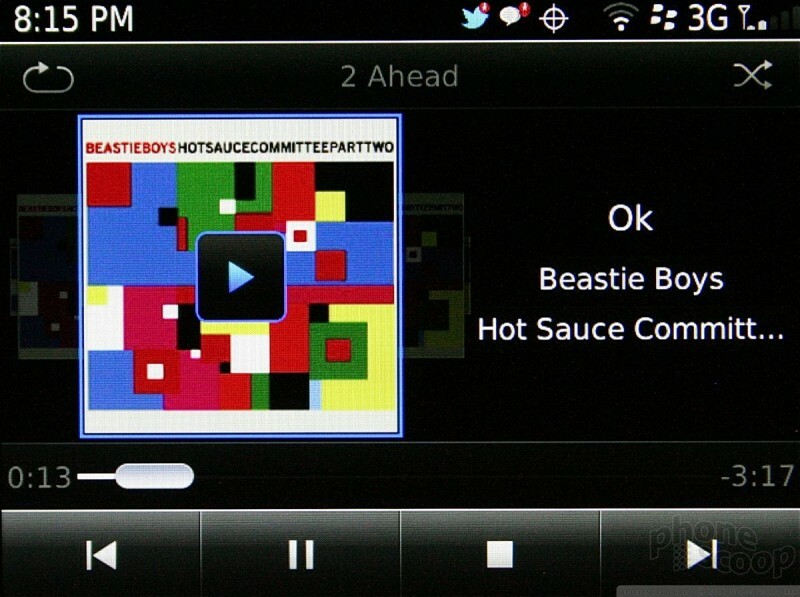 RIM hasn't changed the music app much. When viewing artist, album, or song lists, album art is displayed next to the file or folder in question. Once you've chosen to listen to a song, the 9930 automatically displays cover art in a coverflow appearance for the current playlist. This means that while you're listening to the music, you can scroll through your library visually via album cover art. It's neat. There are some advanced options, but not too many. 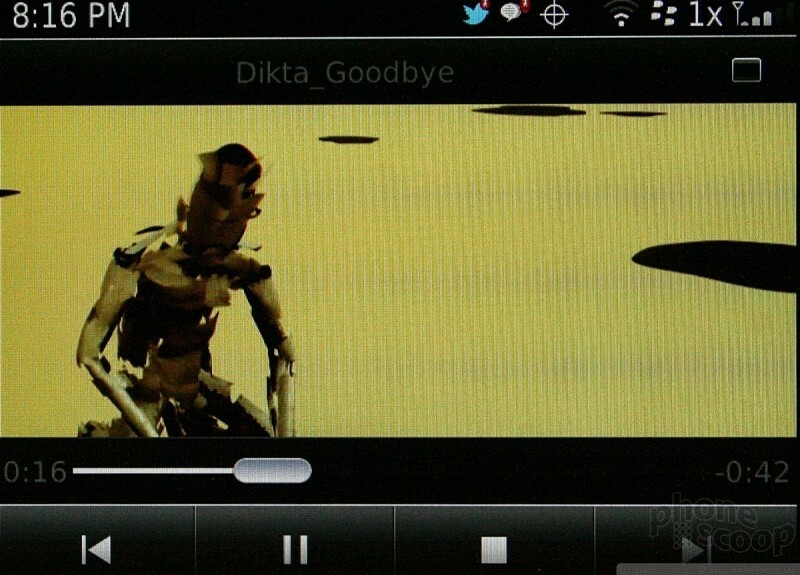 There is an audio boost; captions can be turned on/off; and music can be enhanced when the 9930 is used with headphones. As for syncing, the latest version of BlackBerry Desktop manager is helpful for stuffing the 9930 full of your favorite playlists. It can add songs via USB cable or Wi-Fi. The media player also has access to the Amazon MP3 store installed, and Slacker Radio is on board as well. 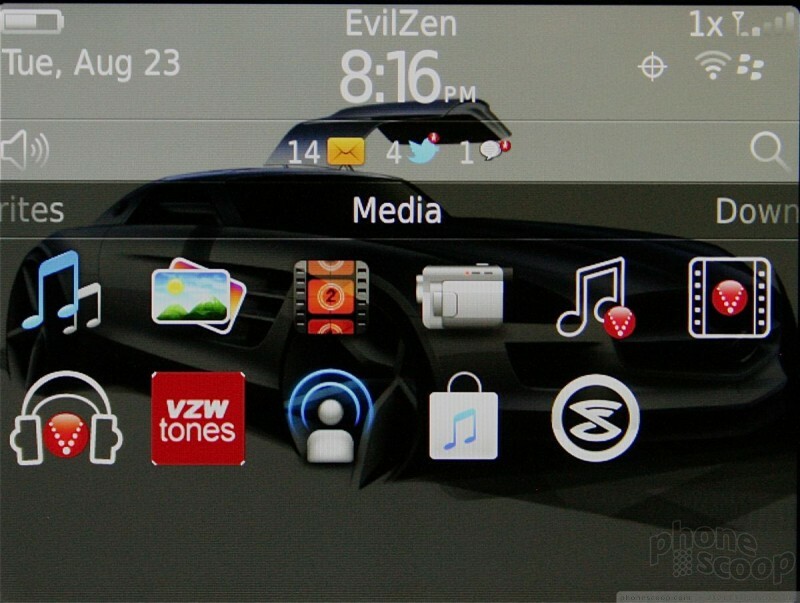 Other apps include Verizon's Music Store, V CAST Song ID, and VZWTones. The 9930 comes loaded with a number of video features. 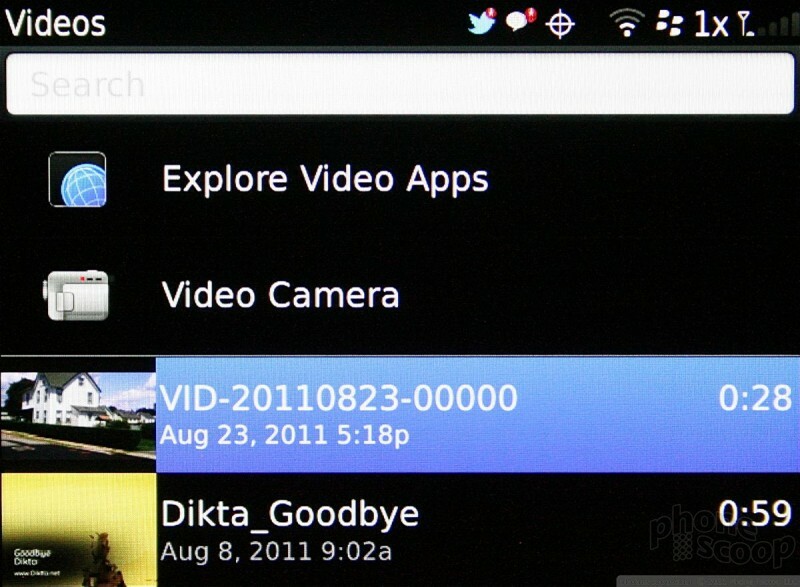 First, there is a dedicated video application that can play sideloaded or captured content. Verizon's V CAST Video streaming service is on board if you don't mind paying extra for it ($10/mo). There is also a YouTube application for managing and interacting with your YouTube account. Nice as these options are, they don't make up for the fact that the 9930's screen simply isn't meant for consuming video. I'd never think to watch a movie on it, even though the video content I sideloaded looked really good on the 9930's solid display. It's just too small.